IN the global auditing sector, Deloitte is one of the “Big Four” accounting firms and the largest professional services network in the world by revenue and number of professionals. Deloitte provides audit, tax, consulting, and financial advisory services with more than 244,400 professionals globally. The other three firms are PricewaterhouseCoopers (PwC), Ernst & Young (E&Y) and Klynveld Peat Marwick Goerdeler (KPMG). As will be shown below, Deloitte Malaysia was the third auditor appointed by 1MDB, following the earlier appointments (and termination) of Ernst & Young and KPMG. On Nov 24, Auditor General Tan Sri Madinah Mohamad made a shocking disclosure that the final audit report on 1MDB had been altered (falsified) on the instructions of former prime minister Datuk Seri Najib Razak and his principal private secretary Tan Sri Shukry Mohd Salleh. That falsified audit report was then classified under the Official Secrets Act in 2016. What this means is that until the report was declassified after the Pakatan Harapan government came into power, the general public was not aware of the falsification. That report is now available for public access in the official portal www.audit.gov.my . Five months earlier, in June 2018, KPMG Malaysia had written to inform 1MDB to disregard the audited accounts for the financial years (FY) of 2010, 2011 and 2012 which it signed off as the auditor. In the letter, KPMG Malaysia advised 1MDB to take immediate steps to prevent any further reliance on the three audit reports. KPMG made this unpleasant decision after going through the declassified Auditor General’s Report on 1MDB and other relevant documents that were withheld from them by the previous management of the company. KPMG added that if these documents had been disclosed to them, they would have materially impacted the financial statements and the relevant audit reports. KPMG Malaysia took over the audit of 1MDB from Ernst & Young in September 2010 when the latter’s appointment was terminated because it would not sign off on 1MDB’s accounts for the FY10. 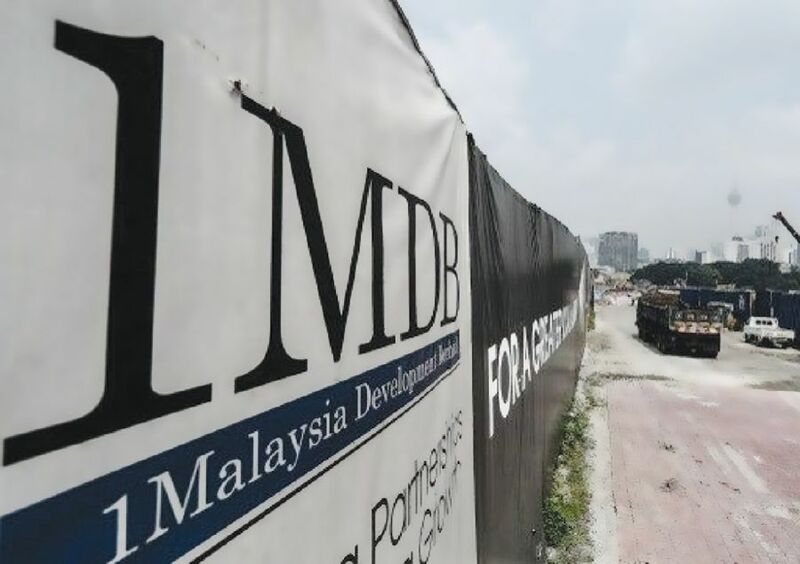 As though history is repeating itself, KPMG Malaysia also wanted to qualify 1MDB’s accounts for FY13 unless it was provided with enough proof on the value of the investments in Bridge Global SPC via Brazen Sky Ltd. Its appointment was terminated in late 2013, after which Deloitte Malaysia was appointed. Deloitte’s appointment came to a sudden end after it announced its resignation in July 2016, following a US Department of Justice (DoJ) complaint alleging an international scheme to siphon more than US$3.5 billion from 1MDB. Deloitte said the DoJ’s complaint contained information that “would have impacted the financial statements and affected the audit reports for the year 2013 and 2014”, had the information been provided to the auditor at the time of auditing. The above sequence of events shows that all the three audit firms hired by 1MDB had a difficult relationship with their client (1MDB). None of them wanted their professional standing and integrity compromised. After the Barisan Nasional government fell, the newly-elected Pakatan government appointed PwC to find out what really happened to 1MDB’s money. Two months ago, on Oct 30, former auditor general Tan Sri Ambrin Buang rejected a suggestion by a member of parliament that there was manipulation of his 2016 report on 1MDB. Ambrin told reporters he had full authority over the report and it was not tampered with. Subsequently however, on Nov 26, Ambrin was called to the Malaysian Anti-Corruption Commission (MACC) headquarters, to assist in the investigation into the alleged alteration (falsification) of the 1MDB final audit report. According to a Bernama report on Nov 26, Bukit Aman would also be calling up several individuals to assist its investigations in connection with the falsification of the auditor general’s final report. Commercial Crime Investigation Department director Datuk Seri Amar Singh told the media that police had commenced investigations in several aspects, among them involving civil servants who had participated in the falsification of records. For Umno leader Khairy Jamaluddin, if it is true Najib had ordered the falsification of the 1MDB report, “it is indeed disappointing”. For Persatuan Patriot Kebangsaan (Patriot) president, Brigadier-General (R) Datuk Mohamed Arshad Raji, the falsification of the 1MDB report (if true) is “a treacherous act of the highest degree”. It is obvious to every Malaysian that the falsification of the auditor general’s final report, followed by its classification under the Official Secrets Act during the previous BN regime, was part of a clever plan to hide the truth from the public on the real state of affairs in 1MDB. The shocking revelation by Madinah had torpedoed that plan. I was reminded of a short passage in Surah Al-Imran (Verse 54) by a former student, now a respected Islamic scholar, over dinner in Bangi last Tuesday. He recited the verse, which when translated simply means: “And they planned and Allah (also) planned, and Allah is the best of planners”.